Discussion in 'Transformers 3rd Party Discussion' started by rubadubspawn, Apr 2, 2017. Robot Hero is considering doing one. They are considering whether it should be a 1:1 KO or an oversized version, other stuff they could do to enhance or accessorize better etc. A 1:1 version with nice silver paint would have a lot of merit, and separate it from the official. A tent in the Sullivan Street Pit. 1:1, silver paint, and a smaller head. I don't think we really need an OS Megs when Wei Jiang is already doing one. Would much rather they stick to figures WJ hasn't announced yet. The head is perfectly sized as is. The official already has sound effects and voice clips. There is a selector switch on top of the scope and a button to play the sound effects. Damn... if I knew 100% right now that a quality ko were coming from Robot Hero I'd cancel my preorder for the official one. At kremzee, a Lazerbeak, articulated hands would be nice, a Shockwave he could hold. Maybe a translucent, lines version that would simulate the transformation into Galvatron? a voyager would be bitchin. dunno if the engineering would make it possible tho. I'm in for a ko. I'd like more die cast. And better paint. The silver like everyone else wants. The official seems to have scratch issues. Regular size please. 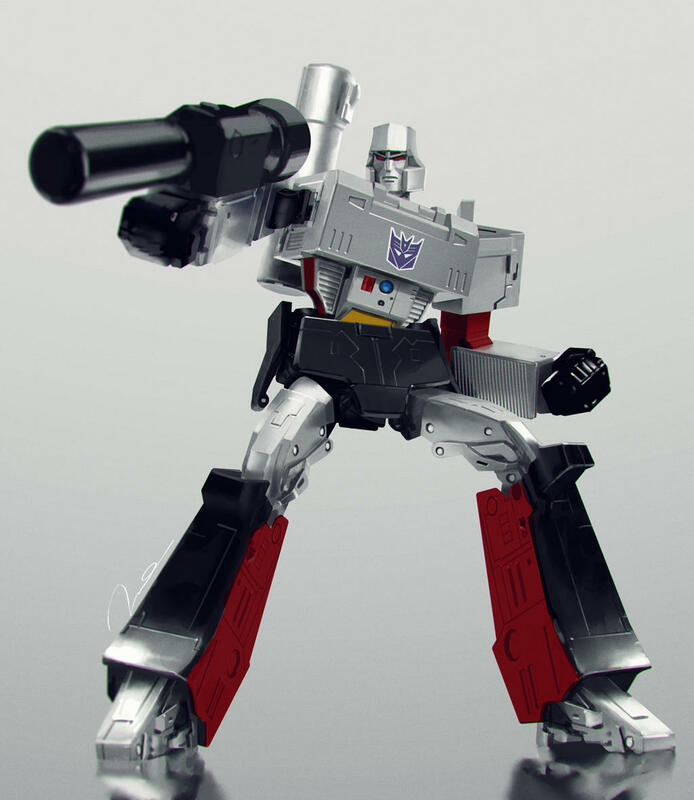 I would prefer that RH include a smaller head as an option for those who dislike MP-36's proportions. That's all. How about a scaled copy of the Lincoln Memorial throne for him to sit on? And count me as one of the people who is fine with the current head size. Though I won't complain if a smaller one is included. Oh and ratcheted leg joints outward to the sides. that would affect the transformation thought, and the neck part would look horrible. Can you ask them to do an Oversized Shockwave (about an inch) with proper paint on it, and a bit more die cast?